Ipsy’s June theme was Swim into Beauty! The bag is black, with “ipsy” stitched all over the front polyester side and neoprene material on the black side. The zipper is an orange-pink that almost matches the mini Formula X nail polish I received! I personally thought this month’s bag was okay. The front material felt cheap, and I’m not a huge fan of brand names/logos on items, regardless of the brand. The back neoprene side felt kind of flimsy and thin. Sadly, these bags are not waterproof, according to a Facebook comment by Ipsy—it would be nice if they were! Overall impressions: Eh. This was an okay bag. The products will be used/gifted, but I’m not particularly excited about any of the products. The skincare products and primer will be used, the nail polish might be used, and the eyeshadow will be given away. I’ve come to realize that my skincare routine is fairly regimented, so I’m not as excited about receiving most skincare items anymore and changed my quiz accordingly. The value of this bag was also on the lower end for me (and no full-size products). However, I’m really looking forward to my July bag, which should be arriving next week! I remember trying this several years ago and being amazed at how silky and smooth it made my skin! 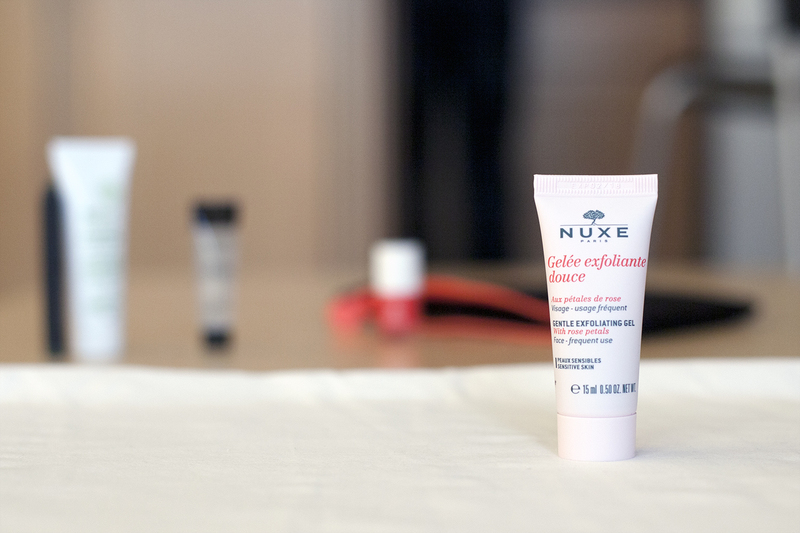 It’s on the pricier side, but you only need a small amount to cover your whole face. 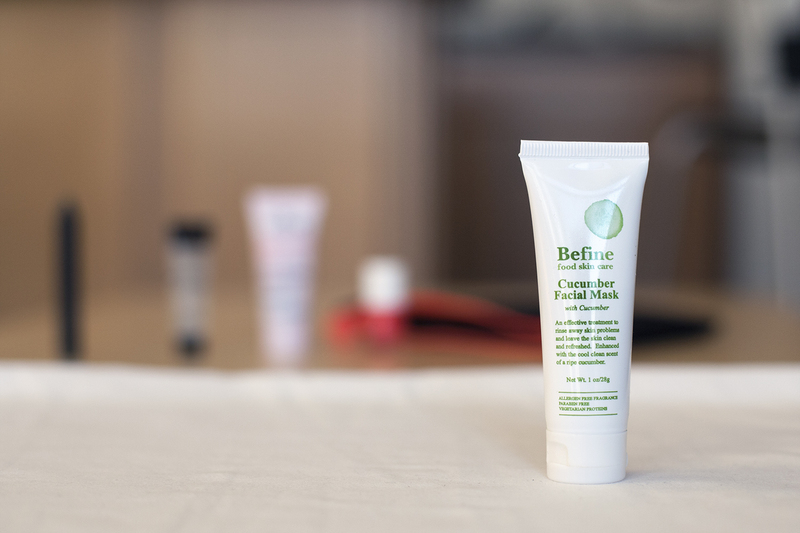 This is light and absorbs quickly, leaving your skin supple and smooth. I’ll be using this for days when I need extra staying power during the day. Interestingly enough, the travel size (0.5 fl oz) retails for $16, while the full size (1.0 oz) retails for $36, so it’s cheaper to buy two travel sizes than the full size and receive the same amount of product; you would save $4. Just thought that was interesting to note. I’m indecisive over this color, since I generally go for more neutral colored nails. I painted my nail with this at Sephora to see if I would like it, and the quality of the nail polish is very nice. 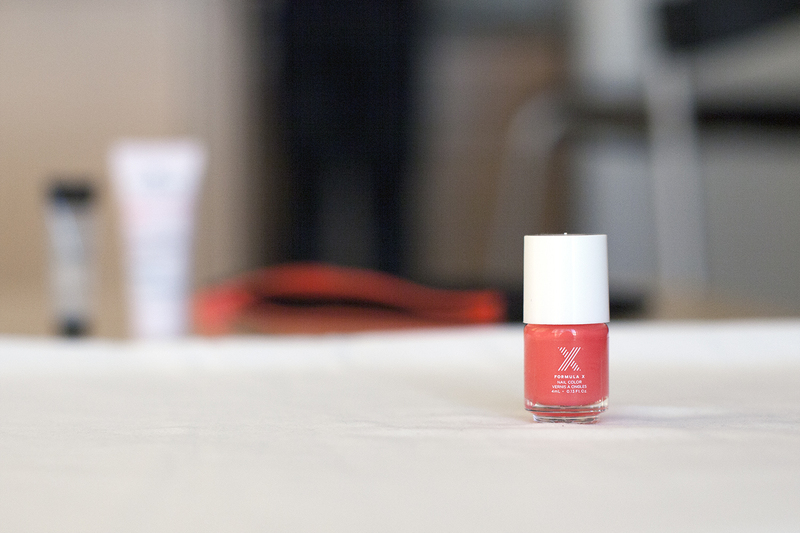 Without a base coat or top coat, it lasted for days without chipping. It applied smoothly and dried quickly. It’s also a good size for me, since I can never finish using a nail polish before it gets too old and clumpy. This is a nice, gentle exfoliator with a light and pleasant rose scent. It’s not too harsh, and there are bits of rose petal throughout the gel. Overall I think this is a nice product, and it would be great for traveling! I’m not sure how I feel about this yet. After applying this out of the shower, I apply a light layer to my whole face, and I feel like like it burns around my nose for a while. However, it does seem to be hydrating and smells refreshing, like cucumber. I will need to use this a few more times before I decide whether to keep using it. This brand seems to have recently launched, and many (all?) of their products are in stick form. The packaging and size of this sample is quite nice, but I rarely use eyeshadow, and I can’t imagine myself using green eyeshadow. I think if I had received a more neutral color, I would really enjoy this product and use it for more purposes (highlighting/contouring). On a side note, I thought the packaging is interesting: the cap looks like it is part of the actual product. This seemed to fool some subscribers, and some people thought this product was sent without a cap. I like having both for different reasons! Choosing would be like choosing a favorite child (not that I have any haha). I think I liked your bag better than I liked mine! I’m hoping my August bag will be better because I’m not too crazy about my July or June bags and at this point I might cancel ipsy and stick with birchbox (something I never thought I’d say). great bag! I think you got some nice samples here. from the looks of it Ipsy is definitely the way to go. I used to be a subscriber of both but cancelled once I moved. Might start back with Ipsy again though. Great reviews keep them coming. Ooooooh I’m getting the nail polish this month – I’m a nail polish addict so this gets me excited !!!!! How did you like it??? Thanks for the post. I was thinking of getting an iPsy bag but didn’t want to commit without fully knowing what I’ll be getting. Is it worth it in your experience? I love both Ipsy and Birchbox! I find the combination works really well for me as someone who is interested in trying a variety of products. It’s a great surprise I look forward to each month. I think it’s really fun to see all the sneak peaks, videos, and try the products themselves! Loved your description of the June Glam Bag. 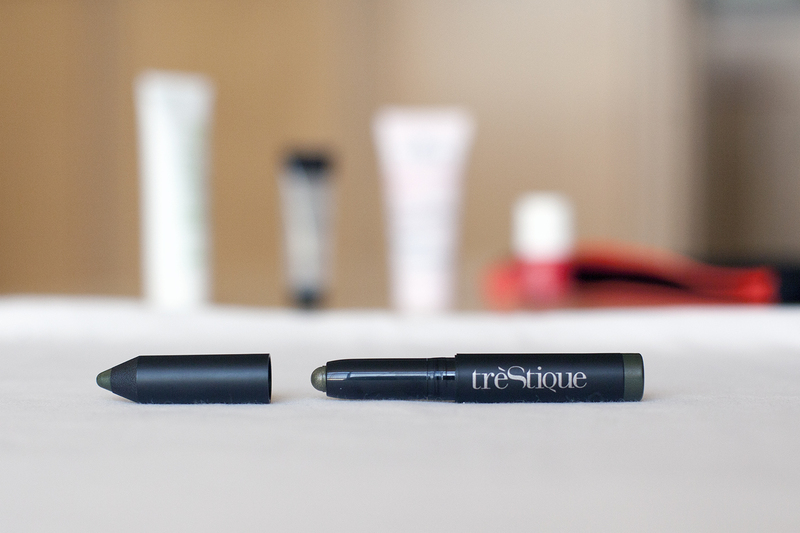 I checked out the Trestique shadow crayon and it retails for $26. I think that’s a bit pricey for the quality. I liked it but not really enough to spend the retail price. Great Blog! What camera and lens do you use? Thanks! I use a Canon 5D Mark II, usually with a Canon 50 mm f/1.4 lens! Love your blog! & thank you for stopping by mine 🙂 Your photographs are wonderful & I love the mini product reviews…very informative. Hey there! love your posts about these products. Thanks for stopping by my site. I just followed your blog and hope you follow back. I look forward to reading more of your posts! 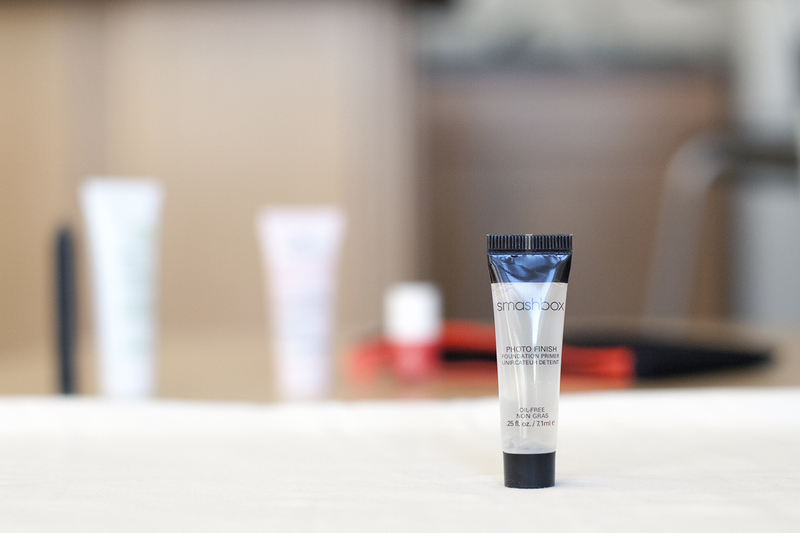 The Smashbox primer is awesome. I’m sure you’ll enjoy it. Great job of the photography… Your pics always look so crisp! Hello there, GREAT BLOG, I LOVE IT! Ipsy is only available in the U.S. and Canada right now! However, Birchbox is available in the UK! What theme are you using? I’m in love with it. Your presentation of these products is beautiful! I never realized the quality of Birchbox.